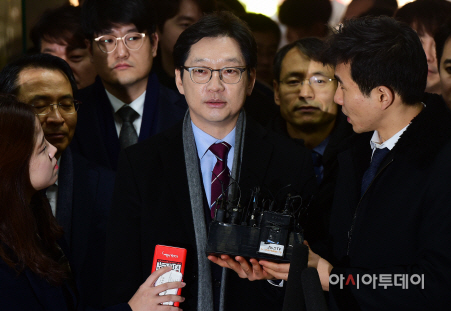 South Gyeongsang Province Governor Kim Kyoung-soo was taken into custody following a court ruling for his involvement in the online opinion-rigging conducted by a team of bloggers led by Kim Dong-won, better known by his online nickname Druking. If the verdict is upheld by higher courts, Kim will lose his governorship in accordance with the election law. The 32nd Criminal Division at Seoul Central District Court on Wednesday sentenced the 51-year-old governor to two years in prison. The court also sentenced Kim to a 10-month jail term, suspended for two years, for violating the Public Official Election Law. Previously, an independent special counsel team led by Huh Ik-bum demanded five years in prison for the governor. Governor Kim was indicted for allegedly manipulating public opinion in favor of by-then presidential candidate of the Democratic Party Moon Jae-in along with Druking’s team since November 2016. 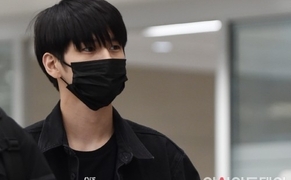 The court also found that the governor continued to carry out the illegal cyber operations with Druking for the June 13 local elections last year, and offered the head blogger a consulate-general at Consulate General of Korea in Sendai, Japan, in return. Meanwhile, Druking was jailed for three and a half years on a similar charge in a separate trial earlier on Wednesday.